Why Aren't My Products Showing Up? Q. What is a cloned product? A. A cloned product is a new hidden copy of an existing product where most of the major data item has been duplicated with the exception of the custom URL. 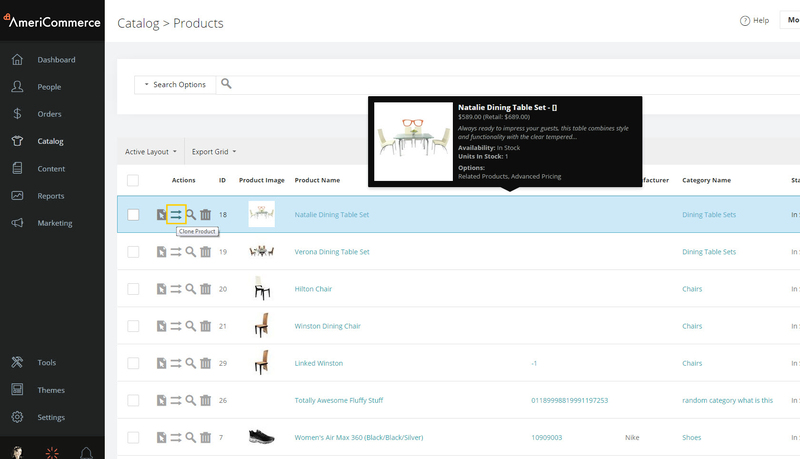 To create a cloned product you need to navigate to the product listed in the product list. And click the clone button which will clone the product and then allow you to open the product for editing.